Valley's Dustin Stover delivers a pitch to a Greenbrier West batter Wednesday at Boomer. The Cavaliers emerged with a 12-1 victory in five innings. Valley's Jett Taylor keeps focused at the plate. Greenbrier West pitcher Evan McDade follows through on a pitch to a Valley batter in the early going Wednesday. A West baserunner scores ahead of the throw to Valley catcher Connor Raynes. Valley first baseman Isiah Ford, center, and catcher Connor Raynes, right, confer with pitcher Dustin Stover. Christian Auxier came in to relieve Dustin Stover for the 'Hounds. Peyton Brown makes contact for the Cavaliers. Zach Winter makes contact for the 'Hounds. The softball squad initiated its season with a doubleheader loss to visiting Nitro by scores of 12-0 and 11-2 on Saturday. The Greyhounds followed that with an 8-3 victory over Midland Trail on Tuesday. The boys opened their season on Wednesday with a 12-1 loss to Greenbrier West at Boomer. Head coach Marty Carver feels his girls are poised for a solid year after a good tournament showing a year ago. "These girls have been talking," said Carver. "The big thing they took away (from a tough section loss to Fayetteville) was the experience, the pressure of the big game when it's on the line. They came together finally." Early practices featured 14 players, Carver said. Two seniors — second baseman/catcher Brittany Bennett and third baseman Abigail Taylor — and four juniors who are expected to graduate early — shortstop Gracie Gipson, first baseman Kayla Graves, utility Alyssa Wills and Kenzie Duncan — will help lead the way this spring. Gipson and sophomore pitching ace Emmie Lopetrone have provided a big boost as team captains, Carver said. "They stepped up halfway through last season and they decided they wanted to take charge," he said. Others counted on for big contributions will include sophomore left fielder Mallory Kincaid, junior outfielder Katie Huddleston, junior Jayden Chapman, sophomore backup pitcher Kaylee Ryan, sophomore catcher/infielder/center fielder Haley Myers and freshman Keara Sargeant. Carver says he's looking for Myers to really make strides. "She's an all-around good ball player, and has a solid head." Carver is looking forward to the year. "If we can stay together and have no injuries, I believe we can be 100 percent better than last year," he said. "We look to give all our competition a good game." 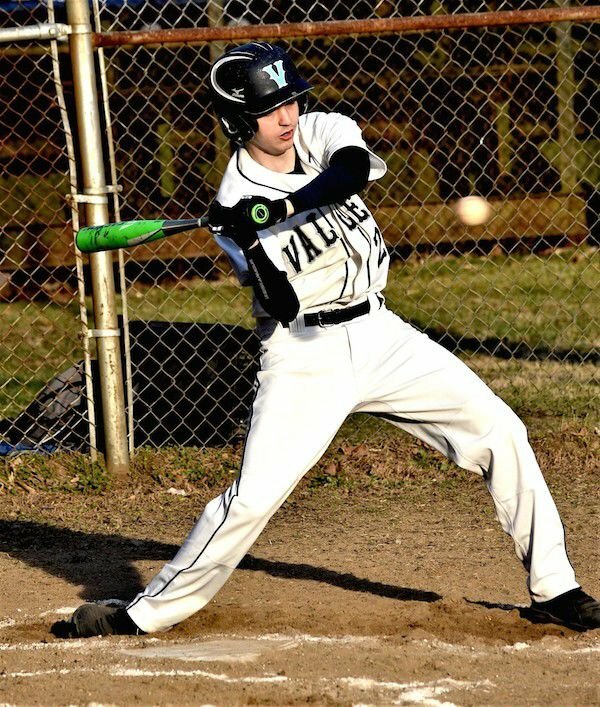 Meanwhile, Valley head baseball coach Chip Warden approaches the year with a more cautious attitude, and that's mainly because of a slim, 11-player roster as of late last week. "My active roster is currently at 11, and I doubt it's going to get any bigger," Warden said last week. "We'll try to play a normal schedule." The Greyhounds lost a slew of experienced seniors from last year's 7-13 team, including Nick Gipson, Nathan Kincaid, Spencer Dean, Tyler Dozier, Tanner Sears and Garyn Pritt. Warden expected more returnees, but other players transferred elsewhere, with the closure of Valley looming. "You have to advise the kid to do what's absolutely best for him," Warden said. "This is a life choice decision. I've got to give them my total support." Of the 11 players on the roster, eight — and possibly nine — can be called on to pitch, Warden said. "We'll just play it game-by-game." Warden says the players are ready to embrace the campaign. "My kids, they're hungry. The know the numbers are low." Extra conditioning has helped, he said. "Injuries were devastating to us last year," Warden added. Zach Winter and Isiah Ford, the latter whom lost most of last year due to a broken foot, are expected to be the main hurlers, their coach said. Others who should see some action on the mound will include Adam Falbo, Christian Auxier and Jett Taylor. Many of the pitchers "are not a shut-down pitcher, but they throw strong." Senior Jimmy Harper is back after a bum shoulder limited him to DH duties last spring. "He couldn't throw at all," said Warden. "He's back full-time, hitting, throwing and running." Harper will be utilized at one of the corners, in the outfield, or he can pitch. Another player who suffered injuries last year, Noah Arthur, returns. When he played in 2018, it was predominantly at the catcher spot, but he will have to branch out this year. When not pitching, Winter will play either short or center field, and Ford will man first base or a spot in the outfield. Falbo, a senior, can contribute all over the field, says Warden. "He plays hard and he's consistent. He can play anywhere, and will, too." Three players who will be expected to step up will be Auxier and Taylor, both juniors, and Colton Kincaid, a sophomore. The 'Hounds are a "work in progress," said Warden. "We need to play every game the same, come with an open mind and come prepared to play. "Hopefully, we'll be playing our best baseball (in May)." 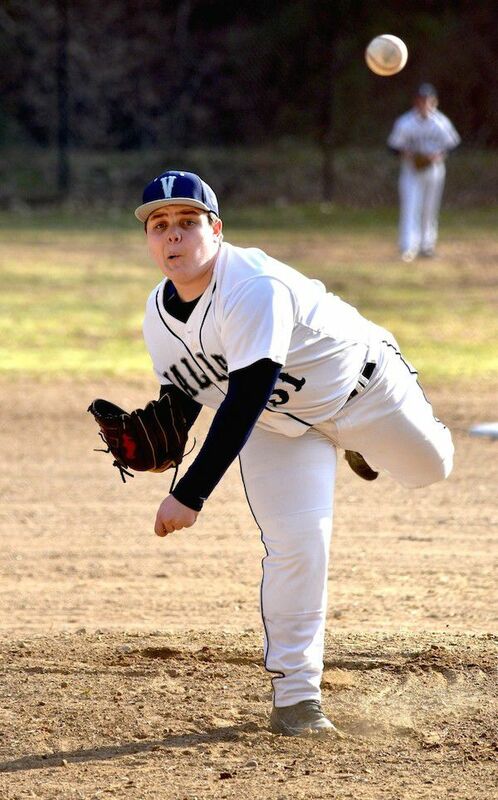 For West against Valley on Wednesday, pitcher Evan McDade struck out eight in three innings and drove in three runs at the plate. Teammate Chad Ramsey had a double and a pair of RBIs. Arthur had a base hit and knocked in Valley's lone run. Weather permitting, the VHS boys have a 5:30 p.m. home game against Richwood on Friday. Road games with Nicholas County and Riverside will follow next Monday and Wednesday. Valley built up a 7-0 lead through four innings en route to the triumph over Midland Trail Tuesday. Mallory Kincaid and Kayla Graves both rapped two singles for the Valley offense. Haley Myers, Emmie Lopetrone, Jayden Chapman and Kaylee Ryan each added a single. Providing a single apiece for the Patriots were Emily Dickerson, Serena Minor, Zavery McManaway, Kyleigh Jackson, Alex Ellison and Jordian Stonestreet. Lopetrone went the seven-inning distance on the mound for the win. The Greyhound girls are set to entertain Charleston Catholic at noon and 2 p.m. on Saturday. The Wildcats swept the twin-bill from the Greyhounds on March 16. In the opening game, Emmie Lopetrone, Kayla Graves and Mallory Kincaid produced a base hit apiece for Valley. Bella Savilla and Haley Carroll had two singles each for Nitro, and Savilla earned the pitching verdict. In the nightcap, Nitro plated six runs in the second inning on its way to the win. For Valley, Gracie Gipson and Jayden Chapman each had a single, with Chapman driving in both VHS runs. Four players — Carroll, Sydney Cawley, Jordan Nelson and Hailey Harr — supplied two hits apiece for the victors. Lena Elkins secured the win on the mound.